Mold spores are everywhere. But without the conditions that let them grow, there’s no mold. Spores need water, the optimal temperature, food (in the form of any porous material), and the right amount of air. Without all of these elements, the mold can’t grow. Unfortunately, many common household problems cause optimal conditions for mold growth, and turn your home into a Petri dish. Leaks, structural damage, flooding, poor ventilation, and improperly installed insulation all create the conditions that foster mold. 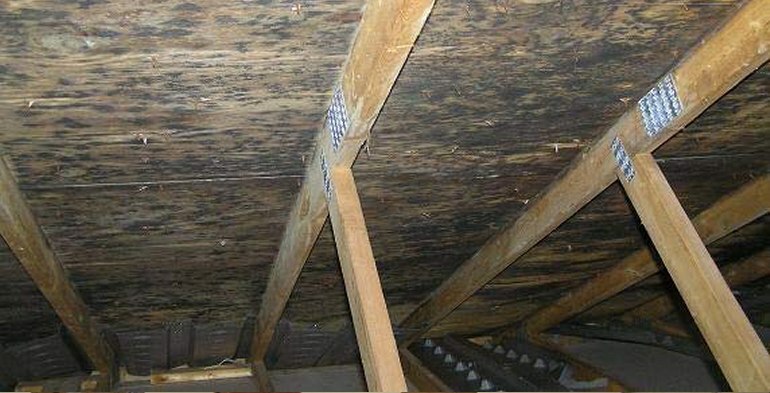 Basements and attics are particularly vulnerable. Most people have heard of so-called “black mold” (Stachybotrys chartarum or Stachybotrys atra) and the health problems it can cause. 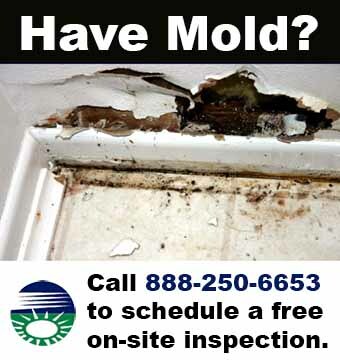 Not all mold that looks black is true Stachybotrys mold–but any mold in your home is bad for your health. Moisture is attracted to warmth–like your living spaces. It wicks into your home–and takes the mold with it. The heat incubates new growth. That temperature you set your thermostat at? Mold likes it, too. Suddenly you have a health hazard where you eat and sleep. Just because it’s not visible doesn’t mean it’s not harmful. Whether we find a 2-foot patch, or a 200-foot patch, we treat the whole area. If some mold is visible, more mold is there. The spores might be dormant right now, but it’s important to destroy them so you don’t have problems later. Let us clean away your mold with our top-of-the-line, environmentally friendly products!